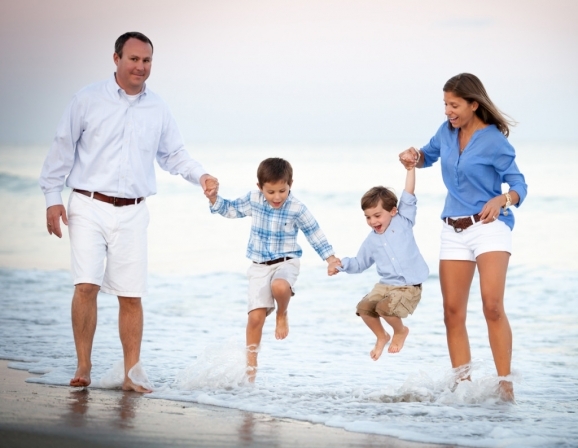 Michelle Leonard has been a Wilmington NC family photographer since 2009. Michelle utilizes her innate gift with the camera to capture precious family moments in natural light and studio settings. From running on the beach to exploring downtown, Michelle has the unique ability to catch a family enjoying life’s most simple moments. Her natural ability to make people laugh helps each photo session become a fun event, and keeps everyone at ease. 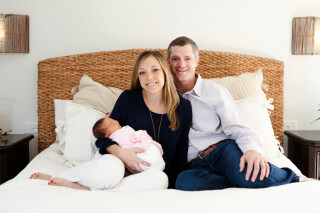 Michelle also captures the most precious first days of life with professional newborn photography. She will travel to your home to photograph your baby in your own setting, or you can schedule a newborn photography shoot in her studio. Michelle also takes engagement photos, maternity pictures, head shots and will photograph special events upon consultation. She will work with your ideas to create a photo session tailored to your vision. Michelle is native to the Wilmington, NC area. She and her husband Will have been married for 11 years and have three children of their own. You’re likely to see them highlighted in one of her blog posts!